Niger is the largest country in West Africa, with some 80% of its area within the Sahara desert. Since independence from French colonialism in 1958, the country has seen alternate periods of civil and military rule. Currently a multi-party democracy, Niger faces significant development challenges. It has one of the lowest literacy rates in the world. The Nigerien economy relies heavily on export revenue from uranium ore. Oil exploration by private companies started after 1970, and the state began producing oil after 2011. However, the main livelihood activity for the majority of people in Niger remains subsistence and small-scale commercial agriculture. As well as internal markets, foreign exchange earnings from livestock are considered to be the largest source of export revenue after mining and oil exports. Dominantly arid, with low and irregular rainfall, most of Niger’s rivers are ephemeral, except for the Niger River. Other surface water resources are numerous internal drainage ponds, and some dammed reservoirs. Large scale irrigation schemes mainly use surface water. Niger has seen a number of recent droughts (eg 2005/6, 2010). Groundwater is a vital resource for rural domestic water supplies, for some piped urban water supplies, and for small-scale irrigation. Imogen Bellwood-Howard, Institute for Development Studies, UK. Niger. Map developed from USGS GTOPOPO30; GADM global administrative areas; and UN Revision of World Urbanization Prospects. For more information on the map development and datasets see the geography resource page. Niger is a landlocked country in West Africa, with mainly gentle relief. Border Countries Nigeria, Benin, Burkina Faso, Mali, Algeria, Libya, Chad. The north and largest part of Niger has an arid Saharan climate; the southern part has a semi-arid Sahelian-Sudanian climate. Rainfall is highly irregular both spatially, seasonally and inter-annually, but in general there is a long dry season from October to May, and a shorter rainy season from June to September. Evaporation varies between 1,700 mm and 2,100 mm of water per year (FAO Aquastat). More information on average rainfall and temperature for each of the climate zones in Niger can be seen at the Niger climate page. There are two major river basins in Niger: the watershed of eastern Niger, which are dominated by the Lake Chad basin and the Komadougou Yobe; and the watershed of Western Niger, which is dominated by the Niger River and its tributaries. Most surface runoff is in the Niger River (90%) and its tributaries from the right bank. In addition, Niger's surface drainage network includes over 1,000 ponds, of which about 175 are permanent. These ponds are often hydraulically connected to aquifers: for example, the Tabalack and Madarounfa ponds (FAO Aquastat). Niger currently has about 10 dams, with a theoretical total capacity of about 76 million cubic metres (FAO Aquastat). Niger had an area of ​​4,317,589 ha of internationally important wetlands in 2013. The W" National Park was the first site designated in 1987, and since then 11 other RAMSAR sites have been designated, including wetlands of the Niger Valley, Korama and Komadougou Yobe, natural lakes and ponds, fossil streams and oases. Major surface water features of Niger. Map developed from World Wildlife Fund HydroSHEDS; Digital Chart of the World drainage; and FAO Inland Water Bodies. For more information on the map development and datasets see the surface water resource page. Soils in NIger are largely sandy or sandy-clay, and typically poor in nutrients and organic matter. The cultivable soils are 80% dune and 15 to 20% percent moderately clayey hydromorphic soils (FAO Aquastat). Soil Map of Niger, from the European Commission Joint Research Centre: European Soil Portal. For more information on the map see the soil resource page. Three quarters of the area of Niger is Sahara desert. The southern part of the country lies in the Sahelo-Sudan zone (FAO Aquastat). Land Cover Map of Niger, from the European Space Agency GlobCover 2.3, 2009. For more information on the map see the land cover resource page. This section provides a summary of the geology of Niger. The geology map below shows a simplified overview of the geology at a national scale. For more information on the datasets used in the map see the the Geology resource page. A geological map of the Republic of Niger at 1: 2 million scale, published in 1966, was published in paper form, and may be available from the Centre de Recherche Geologique et Miniere in Niamey. A BRGM project in 2011 helped to set up a geographical information system (GIS) for geological and mining data, although it may not still be available. Geology of Niger at 1:5 million scale. Based on map described by Persits et al. 2002 / Furon and Lombard 1964. For more information on the map development and datasets see the geology resource page. cross-basin Unconsolidated Quaternary, undifferentiated Unconsolidated sediments of Quaternary age cover much of the surface outcrop of Chad. Within the Chad Basin (see below), most Quaternary sediments belong to the Chad Formation. Within the Iullemeden Basin (see below) are extensive aeolian (dune) sands and alluvial sands and gravels in river valleys. There are also small outcrops of lacustrine silts and clays and evaporite deposits in former lake beds. Chad Basin Cretaceous-Quaternary The Chad Basin is a major geological feature: a sedimentary depositional basin that extends over large parts of a number of countries including Chad and Nigeria. In Niger, the Chad Basin covers most of the east and north of the country. The basin contains a great thickness of sedimentary rocks dating from the Cretaceous to Quaternary in age. These are more than 3,500 m thick at the thickest known points, but may be more. These sedimentary rocks are underlain by Precambrian bedrock. Quaternary: the uppermost and youngest sediments in the Chad Basin belong to the Chad Formation, and are largely of Quaternary age. These range from a few tens of metres up to many hundreds of metres thick. The Chad Formation consists of unconsolidated fine to coarse grained sands and gravels with sandy clays. These include extensive aeolian (dune) sands, and relatively extensive clayey to sandy aluvial sediments in active and abandoned river channels. There are also lacustrine (lake and lake-margin), alluvial fan and deltaic deposits. Much of the sequence is sandy or gravelly, but there are frequent lacustrine clay layers. Abrupt changes in clay and sand content are common, and the sediments usually occur as overlapping lenses. Tertiary: the Chad Formation is underlain by the Continental Terminal formation, largely of Tertiary age, which consists of alternating, usually loosely consolidated, sandstones, siltstones, shales and mudstones. Cretaceous: below the Continental Terminal there may be consolidated sedimentary rocks of Cretaceous age, dominantly marine but some continental sediments - including sandstones, siltsones, marls/calcareous mudstones and limestones. Iullemeden (also called Niger) Basin Cretaceous-Quaternary The Iullemeden Basin lies immediately west of the Chad Basin and covers most of the western part of Niger. The Basin extends beyond Niger to parts of Mali, Benin and northwest Nigeria (it is called the Sokoto Basin in northwestern Nigeria). The total sedimentary sequence in the basin reaches several thousand metres thick. Quaternary: the youngest and uppermost sediments in the basin are unconsolidated Quaternary sediments, including extensive aeolian (dune) sands and alluvial sediments - extensive sands and gravels. and more minor silts and clays. These are often thin, up to few metres thick at most. Tertiary: sedimentary rocks of Tertiary age include poorly-consolidated/loosely cemented clays, siltstones and sandstones of continental origin. In some places are chalky limestones. The sandstone parts of this sequence form part of the so-named regional Continental Terminal 3 aquifer, the base of which is formed by a continuous clayey layer of few tens of metres thick (Vouillamoz et al, 2007). Cretaceous: the lower parts of the Iullemeden Basin sequence are of Cretaceous age, including: Upper Cretaceous argillaceous siltstones and clays; Cenomanian to Turonian marine and lagoonal limestones, dolomitic limestones and sandstones; and Middle to Upper Cretaceous coarse grained sandstones. Mesozoic-Palaeozoic Cambrian-Cretaceous Older sedimentary rocks crop out most on the northeast of the country, and in parts of the north, adjacent to Precambrian basement. These rocks include sandstones and siltstones of Triassic and Jurassic age; Carboniferous calcareous sandstones; Devonian argillaceous sandstones; and Ordovician sandstones and limestones. Mesozoic-Quaternary Igneous rocks in Niger are not widespread but are relatively well known geologically. Mesozoic to Tertiary igneous activity produced sequences of magmatic rocks that are now exposed as ring complexes, which can be seen clearly on the geology map in central Niger within the main area of Precambrian rocks. Surrounding these are smaller outcrops of Quaternary volcanic rocks. Precambrian Plutonic grantitic and gneissose and undifferentiated crystalline metamorphic rocks. These crop out in the far west of the country and form the higher ground in the centre of Niger. 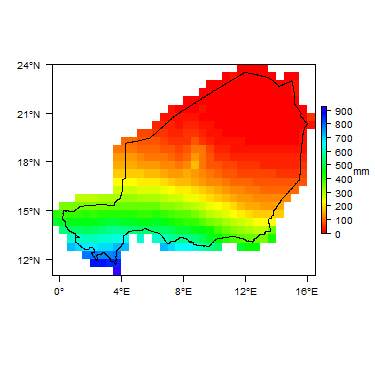 This section provides a summary of the hydrogeology of the main aquifers in Niger. More detailed information on specific aquifers can be found in some of the references listed at the bottom of this page. The hydrogeology map shows a simplified overview of the type and productivity of the main aquifers at a national scale (see the Hydrogeology map resource page for more details). - Unconsolidated sediments dominated by sands, sometimes with gravel, of alluvial or aeolian origin. Alluvial sediments in large valleys can form productive local aquifers. More extensive dune sands, such as the thick Chad Formation in the Chad Basin, form a regionally important aquifer. - Loosely to strongly consolidated sedimentary rocks: sandstones, limestones and siltstones of Mesozoic (Cretaceous-Tertiary) and Palaeozoic age. - Precambrian Basement weathered/fractured aquifers, used locally in parts of western and central Niger. The most extensive and productive aquifers of Niger are sedimentary formations known as the Continental Terminal and Continental Intercalaire, of Cretaceous-Tertiary age, which occur in two major sedimentary basins: the Chad Basin, which extends across much of the east of Niger, and the Iullemeden Basin, which covers much of the west of the country. In some areas, these aquifers are overlain by, and in hydraulic continuity with, thick and often extensive unconsolidated Quaternary aquifers, including the extensive Chad Formation in the Chad Basin. Valley alluvial sediments; local aeolian deposits Variable: often Moderate to High; sometimes Low Where thick enough and dominated by sand and/or gravel, can be highly permeable with high storage potential. Alluvial deposits in valleys typically have shallow water tables and can form productive local aquifers. Small, local aeolian sand deposits on plateaus can be dry. Chad Formation in the Chad Basin Variable: Moderate to High; sometimes Low A heterogeneous aquifer of unconsolidated or loosely consolidated, interbedded sandy and clayey layers. Groundwater storage and flow occur preferentially in sandy layers. Individual sandy layers can be confined by overlying clayey layers, forming a multilayered aquifer that can be artesian in some cases. A study in the Komadugu Yobe aquifer estimated the porosity of the Chad Formation, to between 50 and 100 m depth, at between 20 and 28%, and estimated a range of transmissivity values from 160 to 575 m2/day, with a mean transmissivity of 260 m2/day (Descloitres et al. 2013). Other transmissivity values obtained from test pumping in the Chad Formation are 3 m2/day, 100 m2/day and 250 m2/day (Descloitres et al. 2013), varying depending on whether the tested part of the aquifer was dominated by aeolian sand or by alluvial, often clayey sand. Recharge is low, estimated as only a few millimetres per year (e.g. Leduc et al. 2000). Residence times for groundwater in the aquifer have been calculated at 1000 to 2000 years (Leduc et al 2000). Recharge occurs both directly from intermittent rains, and indirectly via leakage from rivers and, close to Lake Chad, sometimes also from the lake. Where the upper layers are dominated by sands, recharge is largely unrestricted, and so these layers are vulnerable to pollution. Recharge to deeper sandy layers can be restricted by overlying clayey layers, which also provide some protection from pollution. Close to large rivers, where groundwater may be in hydraulic contact with river water, groundwater salinity is thought to be often low. For example, in the Komadugu Yobe aquifer, the SEC (specific electrical conductivity) of groundwater close to the Komadugu Yobe River is less than 200 uS/cm, but increases with distance from the river, to a maximum of more than 3000 uS/cm in the centre of the Kadzell depression (Descloitres et al. 2013). Chad Basin Tertiary-Cretaceous (including Continental Terminal) Moderate to High Overall, dominated by sandstones with significant permeability, but some areas dominated by low permeability siltstones and clays. Where clays are interbedded with sandstones, it forms a multilayered aquifer, sometimes artesian. Low and intermittent rainfall means there is low direct recharge, even to unconfined parts of the aquifer. A significant proportion of the groundwater stored in the aquifer is fossil water, recharged thousands of years ago. Iullemeden (Niger) Basin Tertiary-Cretaceous (largely Continental Terminal; at depth may also include aquifers known as Continental Intercalaire) Moderate to High Sandstones, often coarse grained, and clays, limestones and silts. The Continental Terminal aquifer extends across the Iullemeden Basin and is up to 450 m thick in its central part. It either overlies Continental Intercalaire rocks or directly overlies Precambrian basement. Andrews et al (1994) describe aquifer rocks of the older Continental Intercalaire in the northern part of the Iullemeden Basin. The Continental Terminal often forms a multi-layered aquifer, with thick sandstone (often fine-grained and/or silty) units forming aquifer layers, interspersed by lower permeability clayey, silty layers which often range from a few metres to around 20 m thick. The average depth to water table in the uppermost, unconfined aquifer was 35 m, but it ranges from near ground level (beneath the lowest elevation ground) to 75 m deep (under plateau areas) (Favreau et al. 2003, Le Gal La Salle et al. 2001). The uppermost aquifer is usually unconfined, but deeper aquifer layers are often confined and can have artesian conditions. A rising water table has been seen in many areas in past decades (a 4 m rise from 1963 to 2007), despite a ∼23% deficit in monsoonal rainfall from 1970 to 1998. Low and intermittent rainfall means there is relatively low direct recharge, even to unconfined parts of the aquifer, and a significant proportion of the groundwater stored in the aquifer is fossil water, recharged thousands of years ago. However, increased recharge rates have been seen since the 1950s - from about 1-5 mm/year to more than 20 mm/year in the 1990s - which are linked to intense land clearing that has enhanced runoff and groundwater recharge (Favreau et al, 2002, 2009; Leblanc et al. 2008). The groundwater chemistry is often mildly acidic (pH between 5.0 and 6.0) and oxidising (Eh values between 300 and 500 mV). Total dissolved solids (TDS) values are generally low, with a median of 50 mg/l, consistent with the quartzitic nature of the aquifer. The dominant ions are NO3, HCO3, Na and Ca (Favreau et al. 2003). High nitrate concentrations (up to 100 mg/l) are seen close to surface water ponds that are sources of recharge, and are thought to be largely naturally derived from the soil and related to an enhanced nitrogen flux following land clearance (Favreau et al. 2003). Palaeozoic-Mesozoic sedimentary (including rocks known as the Continental Intercalaire) Moderate to High Shallower, younger sandstones tend to show more intergranular flow; older, deeper sandstones and limestones tend to be dominated by fracture flow. Aquifers can be very deep - e.g. an Ordovician aquifer at more than 800 m deep. Shallower aquifers typically form unconfined aquifer, with recharge from direct rainfall infiltration and from infiltration of ephemeral river flow. Deeper aquifers are often confined, and artesian - e.g., the Carboniferous Farazekat sandstone aquifer has artesian flows of between 3 and 30 m³/hour. Deeper aquifers have relatively low recharge. Andrews et al (1994) describe a Continental Intercalaire aquifer in the northern part of the Iullemeden Basin, west of the Air mountains, with an aquifer sequence from Cretaceous to Permian in age. This sequence included the Teloua sandstones (Triassic/Lower Jurassic) and a multilayer aquifer of the largely Jurassic Agadez and Dabla Sandstones. The same study also investigated groundwater from deep boreholes in Carboniferous age aquifers. Groundwater in deeper aquifers can be highly mineralised. The chemistry of groundwater in the Agadez-Dable sandstone aquifer in northern Niger is described in detail in Andrews et al 1994: in summary, it was typically slightly alkaline and moderately mineralised where the aquifer is at outcrop (pH 7.3 - 8.0; conductivity (specific electrical conductivity or SEC) 340 - 700 uS/cm) and more alkaline and mineralised where the aquifer is confined (pH 7.3 - 9.5; SEC 625 - 6000 uS/cm). Oxygen concentrations in groundwater were generally low throughout the aquifer. Igneous Probably Low to Moderate Little is known of the aquifer properties of the igneous rocks in Niger. They are likely to form similarly low productivity, local aquifers as the Precambrian basement, although the detailed pattern of fracturing and weathering may be different. The youngest, Quaternary, volcanic rocks may be more fractured and have higher permeability and better groundwater potential. Precambrian Basement Low Discontinuous, low productivity aquifers controlled by the thickness and nature of weathering (regolith) and the presence of deeper fractures. Where weathered products are dominated by argillaceous material, yields are particularly low. Weathered Precambrian basement aquifers play an important role in the supply of water to some rural centres, particularly in Liptako and Damagaram-Mounio. Niger has vast quantities of groundwater stored in deep sedimentary aquifers, much of which is likely to be ancient 'fossil' water that is not actively recharged because modern rainfall is so low. Shallower aquifers, particularly alluvial aquifers in valleys and local weathered (regolith) aquifers in basement, store much smaller amounts of groundwater, but are recharged annually by seasonal rainfall, on which they rely very heavily. In 1995, OSS estimated that Niger used less than 10% of its total groundwater resources; by 2003, this was estimated at 20% (Conseil National de l'Environnement Pour un Developpement Durable). Some of Niger's groundwater is highly mineralised, related to high evaporation (in shallow aquifers) and/or to age and dissolution of aquifer minerals; however, this is not recognised as a widespread problem (UNICEF 2010). Borehole databases indicate that fresh groundwater occurs across the southern region; there is not enough information for other areas to assess the situation (UNICEF 2010). There are known local problems of bacterial and nitrate contamination, related to human and animal waste disposal (UNICEF 2010). High nitrate concentrations in groundwater also occur naturally in some areas, such as widely in the Continental Terminal aquifer in the Iullemeden Basin, relating to a nitrogen flux from intensive land clearance in this area over decades (Favreau et al. 2003). Groundwater is a vital resource in Niger: used for rural drinking water supplies across the country; for piped urban water supplies in some areas, such as Niamey; and for agriculture, in particular irrigation. In rural areas, groundwater is abstracted both from unimproved hand dug wells, and from improved hand dug wells and drilled boreholes. FAO Aquastat reports (2005) that groundwater is the main source of irrigation water for most small farmer who practise irrigation, mainly abstracted from hand dug wells, and mainly applied by manual watering. A minority of small farmers use drilled boreholes. In total across Niger (data from FAO Aquastat, 2005), 64% of irrigation water was from hand dug wells and 5% from boreholes. However, most (over 90%) large private or government-owned irrigation schemes use surface water. A recent German Development Cooperation project was run by BGR to investigate groundwater in the capital, Niamay, and to provide advice on groundwater protection to the Niger Basin Authority. The project was called the Integrated Water Resources Management Programme. 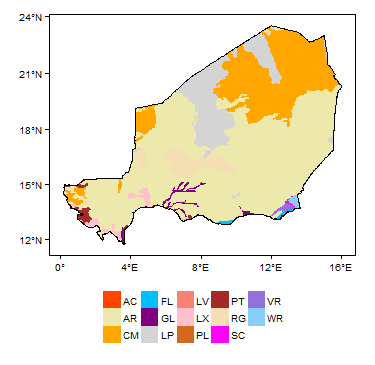 Project work included the collection and assessment of groundwater data and maps in the Niger basin and the development of a groundwater database, which forms the basis for future development of a basin hydrogeological map and groundwater modelling. The project also started groundwater level monitoring using existing boreholes, and used the new monitoring data to create groundwater level contour maps for aquifers around Niamay (Menge 2013, Vassolo et al. 2015). Information on water boreholes and hand dug wells is stored in at least two government databases: one for the central region, and one that in theory covers the whole country, although there is little groundwater source data for the north and east of Niger. Of a total of more than 24,000 wells and boreholes identified by the Ministry of Water, a UNICEF study (2010) identified some 11,000 for which some information was available. Many of these, but not all, had information on borehole rest (static) water level, but none had geological log or water quality information. The Niger Basin Authority (NBA) was established in 1980, with nine member states, and is based in Niamey. It has been engaged in transboundary surface water management for many years, but has not engaged extensively in groundwater management. A recent German Development Cooperation project, the Integrated Water Resources Management Programme is providing advice to the Niger Basin Authority on groundwater protection (see Groundwater management section, above). The Iullemeden aquifer system (SAI), shared by Mali, Niger and Nigeria, includes two major sedimentary aquifers: the Continental Intercalaire and the Continental Terminal. It covers an area of ​​approximately 500 000 sq km, and is the main source of sustainable water for the vast majority of the populations of this region. The Sahel and Sahara Observatory (OSS) initiated and implemented the SAI project between Niger, Mali and Nigeria, and set up joint a consultation structure in 2008. For more information about transboundary aquifers generally, please see the Transboundary aquifers resources page. The following references provide more information on the geology and hydrogeology of Niger. Many of these, and others, can also be accessed through the Africa Groundwater Literature Archive. Chippaux JP, Houssier S, Gross P, Bouvier C and Brissaud F. 2002. Pollution of the groundwater in the city of Niamey, Niger. Bull Soc Pathol Exot. 95(2), 119-23. Descloitres M, Chalikakis K, Legchenkoa A, Moussa, Genthon P, Favreau G, Le Coz M, Boucher M et Oï M. 2013. 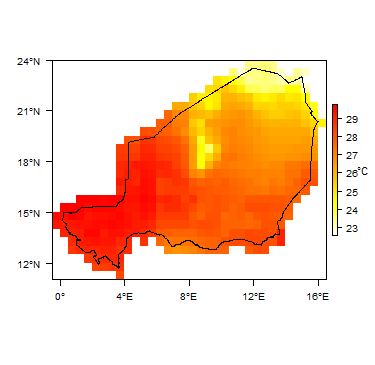 Investigation of groundwater resources in the Komadugu Yobe Valley (Lake Chad Basin, Niger) using MRS and TDEM methods. Journal of African Earth Sciences 87, 71-85. Favreau G, Leduc C, Seidel JL, Ousmane SD and Mariotti ANDRÉ. 2003. Land clearance and nitrate-rich groundwater in a Sahelian aquifer, Niger. International Association of Hydrological Sciences 278, 163-167. Favreau G, Cappelaere B, Massuel S, Leblanc M, Boucher M, Boulain N and Leduc C. 2009. Land clearing, climate variability, and water resources increase in semiarid southwest Niger: A review. Water Resources Research, 45(7). Gaultier G. 2004. Recharge et paléo-recharge d’une nappe libre en milieu sahélien (Niger oriental): approches géochimique et hydrodynamique. PhD Thesis (Thèse de doctorat), Université de Paris-Sud, Orsay, France, 165pp. Lang J, Kogbe C, Alidou S, Alzouma KA, Bellion G, Dubois D, Durand A, Guiraud R, Houessou A, De Klasz I, Romann E, Salard-Cheboldaeff M and Trichet, J. 1990. The Continental Terminal in West Africa. Journal of African Earth Sciences 10 (1–2), 79–99. Leblanc MJ, Favreau G, Massuel S, Tweed SO, Loireau M and Cappelaere B. 2008. Land clearance and hydrological change in the Sahel: SW Niger. Global and Planetary Change, 61(3), 135-150. Menge S. 2013. Campagne de mesure des eaux souterraines dans la région de Niamey, Niger, 4ème trimestre 2012. Rapport de projet "Appui à l’ABN pour la Gestion des Eaux Souterraines (AGES)", elaboré par Autorité du Bassin du Fleuve Niger (ABN), Niamey et Institut Fédéral des Géosciences et des Ressources Naturelles de l’Allemagne (BGR), Hannover, 31 pp, Niamey. MHE & BRGM. 1986. Programme d’urgence pour le renforcement de l’alimentation en eau potable des quartiers de la périphérie de Niamey (Niger). UNICEF. 2010. Etude de faisabilité des forages manuels: identifiaction des zones potentiellement favorables. Republique du Niger Ministere de l'Eau, de l'Environnement et de la Lutte Contre Le Desertification. United Nations. 1988. Groundwater in North and West Africa: Niger. United Nations Department of Technical Cooperation for Development and Economic Commission for Africa. Vassolo S, Schuler P, Guero A, Rabé S, Mounkaila M and Menge S. 2015. Caractérisation des eaux souterraines de la région de Niamey, Niger.Hannover: 50 pp, Hannover. This page was last modified on 20 February 2019, at 18:40.